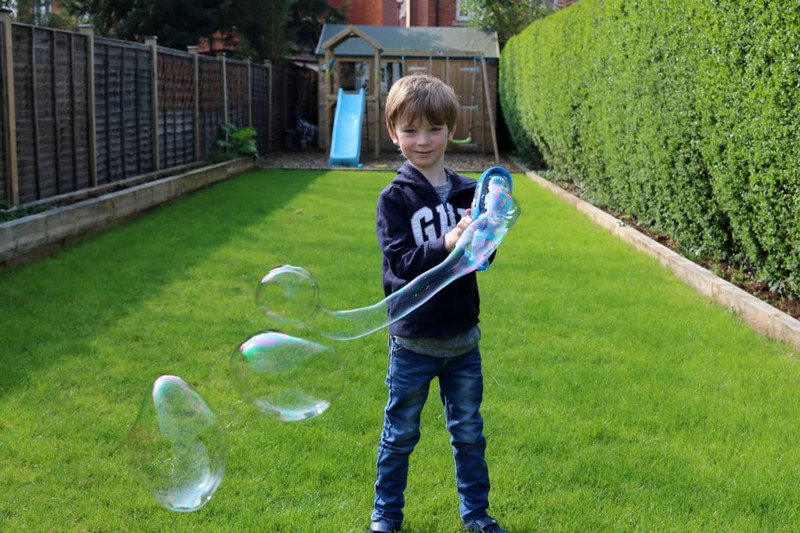 A couple of weeks ago I wrote about how much our children love balloons and soon after that I realised another one of their simple childhood pleasures is bubbles. The children have loved bubbles since the first moment they saw them. I remember them playing with bubbles in the garden when they were tiny, the glee on their faces and the excitement as they chased around after them, trying to burst them. 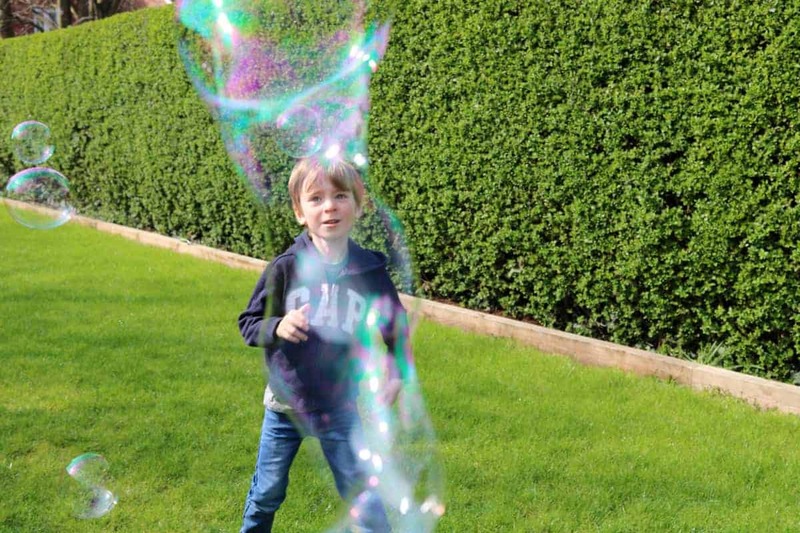 Now that they’re older, LP and Little Man like to see if they can make the biggest bubbles or they see how many bubbles they can make, getting the most excitement from a huge cloud of bubbles that they can run through and try and pop all at once. Bubbles have turned into something the children get in party bags and then they put them on the side, forgetting about for ages. They aren’t really something we think to do and instead they are an afterthought. But, the children love them so much that we need to start planning bubbles and making them something we choose to use and play with. 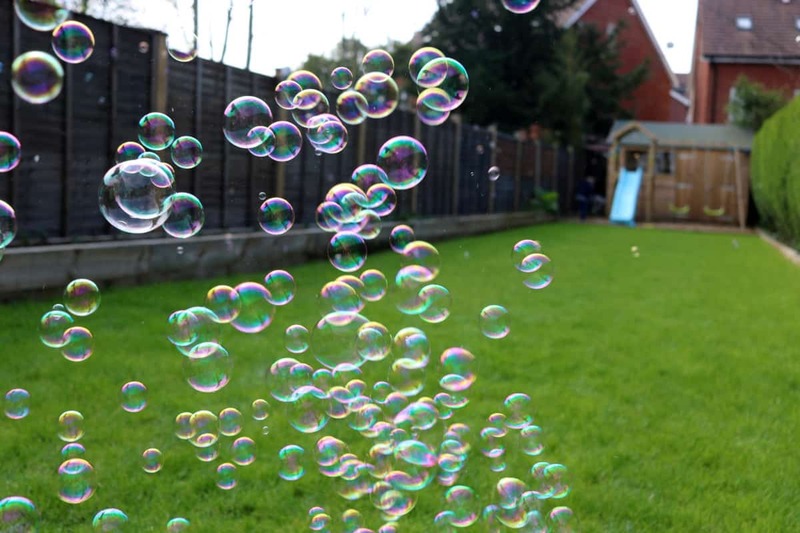 I know if we had bubbles at home every weekend the children would love it – they’d never get bored of bubbles. 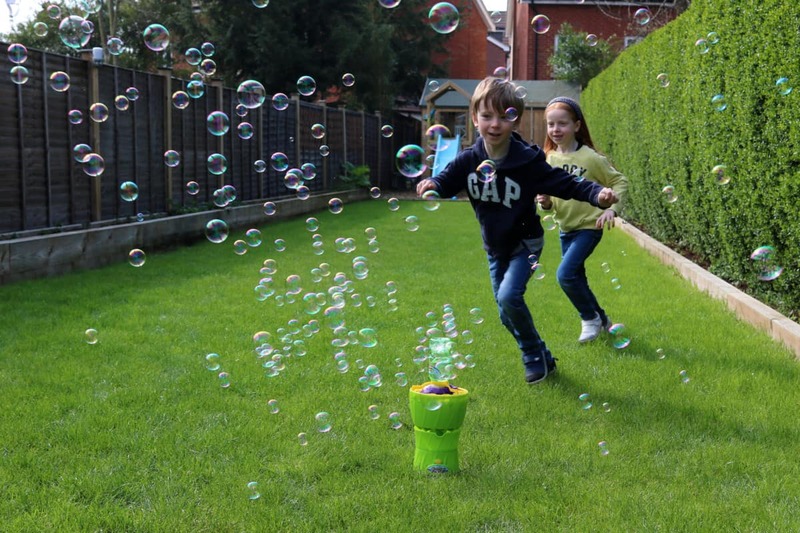 We need to get a new bubble machine, until I do I’m going to be running around with a bubble wand (which isn’t all bad but it can get tiring after an hour or two…). 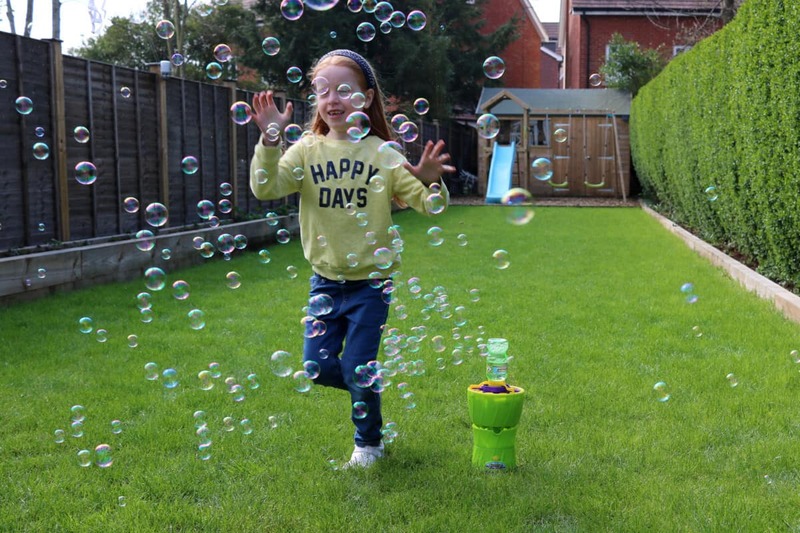 Our kids also love bubbles, it’s most often the simple things which little ones have the most fun with and make the most memories from.